Electrical cardioversion is a process by which the heart is shocked to convert it from an irregular rhythm back into a normal sinus rhythm. The EKG illustration shows what the heart rhythm looks like before and after cardioversion. For patients in persistent atrial fibrillation, electrical cardioversion may be done early in the process to stop the afib and put the heart back into normal sinus rhythm. For other afib patients, electrical cardioversion may not be tried until later, when medication has stopped working. While electrical cardioversion may be effective at converting the heart back into normal sinus rhythm, it has a low success rate in keeping it there, and thus may require multiple tries. It also doesn't cure afib. What should you expect if you are going to have an electrical cardioversion? First, to avoid having blood clots break free during this procedure, you may take anticoagulants (warfarin or Coumadin®) for one to two months before the procedure to eliminate your risk of blood clots. If you can't take anticoagulants, you may have a transesophogeal echocardiogram (TEE) in which you swallow a narrow tube with a camera that makes ultrasound images of the heart to ensure that your heart doesn't contain any blood clots. Mostly likely your doctor will tell you not to have anything by mouth after midnight the night before the procedure. You will have your electrical cardioversion in the electrophysiology (EP) lab or suite. Once you arrive, you will be fitted with an IV for receiving medications and fluids and connected to monitors so the doctor can see what is happening with you. When it's time for the procedure to begin, you'll be given a medication intravenously to put you to sleep. Once you're asleep, the doctor will use the defibrillator/cardioverter/pacemaker machine to give your heart a jolt of energy that will be delivered through paddles or EKG-type patches placed on the front and back of the chest. This electric shock should restore your normal heart rhythm, and may take several tries. If external cardioversion fails, then internal cardioversion may be done and involves delivering the jolt of energy through catheters inside the heart. Once you wake up following the electrical cardioversion, you can go home, but will need to have someone drive you. For a few days following the procedure, you may find that your chest is tender or your skin may have red patches. After the electrical cardioversion, you may be on an antiarrhythmic drug, a rhythm control medication that should keep the heart in normal sinus rhythm. You will also remain on an anticoagulant, such as warfarin or Coumadin®, to prevent blood clots. Electrical cardioversion risks include skin burns, fluid in the lungs, heart attack, stroke, or even death, though that is very rare. Several patients have mentioned that their electrical cardioversions were not successful in converting them to a normal sinus rhythm or in maintaining it. We know that afib patients with untreated sleep apnea are more likely to revert back into afib after electrical cardioversion than afib patients without sleep apnea. That might be something to check if you have had unsuccessful cardioversions. 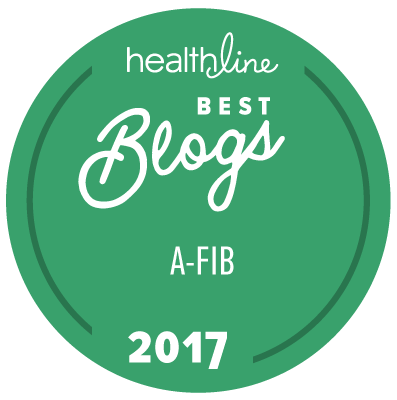 When neither medication nor electrical cardioversion yields long-term success, then catheter ablation or surgical ablation may be next for consideration in an attempt to manage and cure your afib. For more information about these procedures, see Can Afib Be Cured? If you are a caregiver to someone with atrial fibrillation, see the Role of Caregivers. 1 Russo, Andrea M., MD, "Overview of the Contemporary Evaluation and Management of Patients with Atrial Fibrillation: What Every General Practitioner Should Know", American Heart Association, Copyright, 2006.